Vertical design for convenient one-handed use. Features include a powerful DC motor and elegant styling. 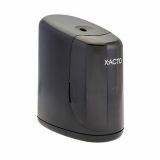 X-ACTO Vortex Office Electric Pencil Sharpener, Black - The Vortex electric pencil sharpener from X-ACTO features an upright design and attractive, modern styling. 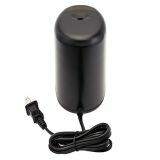 Despite its compact design, the unit has a powerful motor and is able to run smoothly and quietly over extended periods of usage. 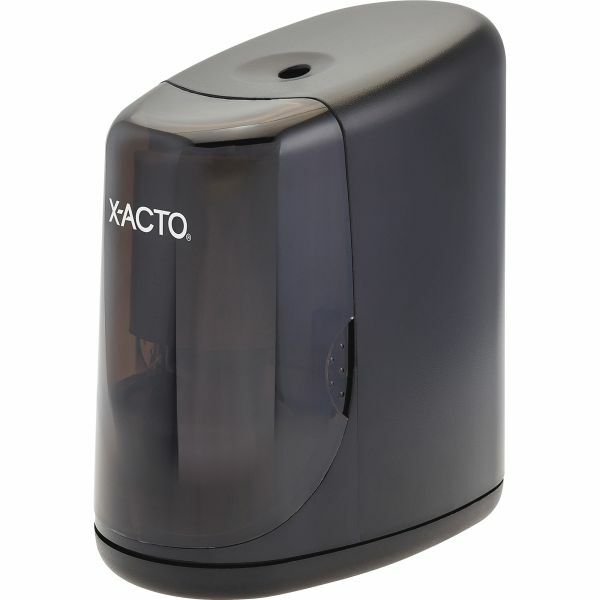 The slide-out waste tray allows for easy clean up, making this model an electric pencil sharpener that can be used almost anywhere. SafeStart® prevents cutters from operating when receptacle is removed. UL listed (US and Canada).